SKU: BK1. Categories: AF-Resources, Books. Learn how to apply Animal Flow practices in your own training regime to increase your strength, mobility, flexibility, power and endurance! This 88-page downloadable guide covers a range of topics, with informative chapters, detailed instructions, and video links. You'll receive immediate access to the PDF document. Learn how to apply Animal Flow practices in your own training regime to increase your strength, mobility, flexibility, power and endurance! 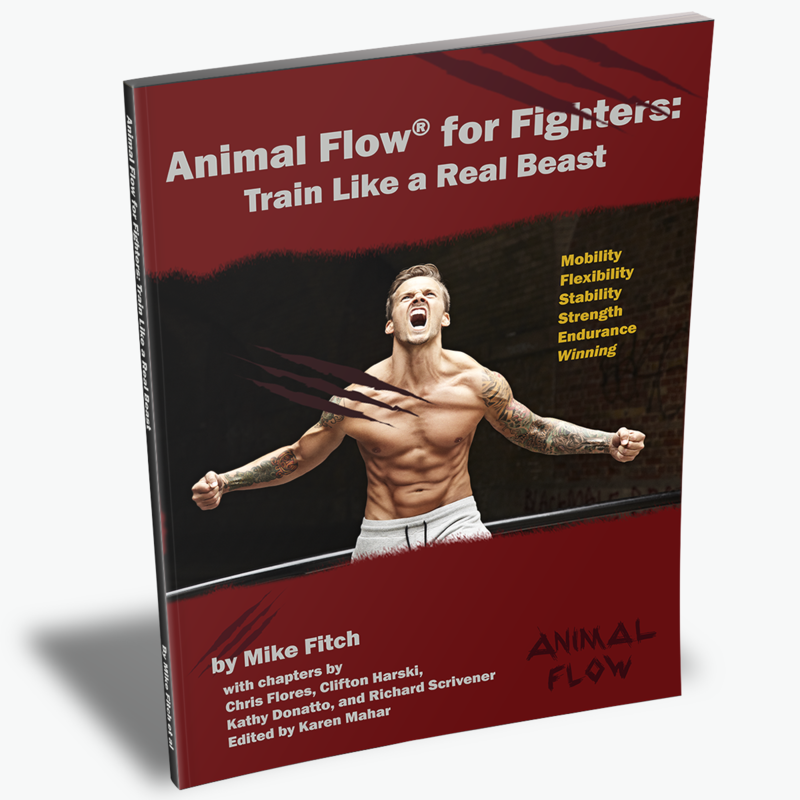 Animal Flow for Fighters: Train Like a Real Beast is designed to help anyone improve their athletic performance, whether you are into MMA training, or just want to get in the best shape of your life. If you’re already familiar with Animal Flow techniques, you’ll learn even more to step up your practice; and if you’re brand new to Animal Flow, you’ll get a great understanding of how to integrate the moves into your current training style. You’ll find tons of sample workouts and drills that mix Animal Flow with other styles of training, including instructions and links to demo videos. You’ll also get a whole chapter on climbing and swinging moves that you won’t find anywhere else in our Animal Flow offerings! You don’t need to have done Animal Flow before to be able to use it. We’ll show you everything you need to know to get going with it!